PLEASE NOTE: THIS IS A CHEATER HEAD OPTION ONLY & YOU WILL BE REQUIRED TO SEND IN YOUR OEM HEAD FOR MODIFICATION. 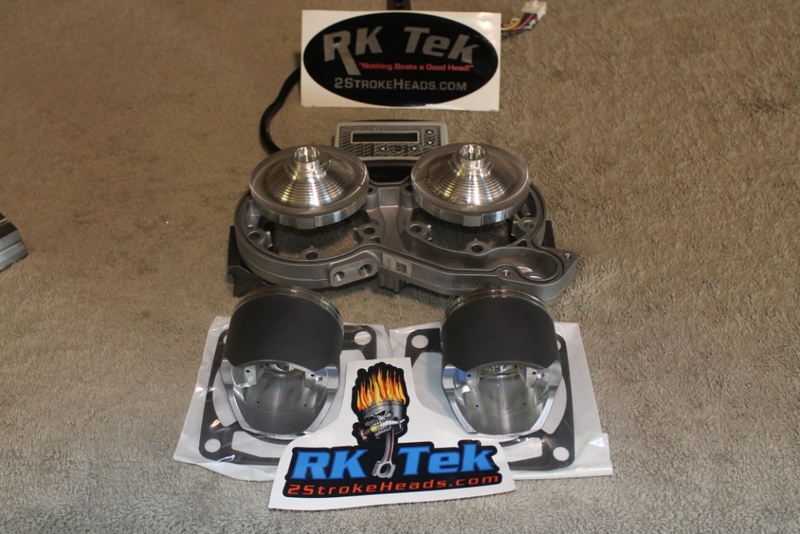 Just by replacing the stock OEM Pistons with our , RK TEK EXCLUSIVE, Custom Pistons AND OUR PATENTED COMBUSTION CHAMBERS will completely transform your engine and its power--output!! Port-Timing is altered and HP and Torque increases! RK Tek Pioneered the "Drop In" Kits decades ago!! These kits are legendary for their Simplicity and Performance! Reliability is our #1 concern and is not compromised in any way. in fact, this kit is MORE reliable than your OEM configuration. A fuel control box is needed for the CFI Engines. We can supply the Box is you do not already have one. Turn around time is just a couple of days.